For the average citizen it is good to know that politicians, ministers and senior bureaucrats have agreed to give up the status symbol of red beacons on their official cars. Hopefully this will be implemented soon in all the states across the country. In addition the statement by the Union Road & Transport Minister Nitin Gadkari that ‘the VIP culture must end’ is heartening. He has suggested that spacious multi-storey flats be built for Ministers and other lawmakers rather than finding bungalows for them. It is hoped that he is serious about what he is saying, and will in fact support the necessary decisions to implement such a policy. 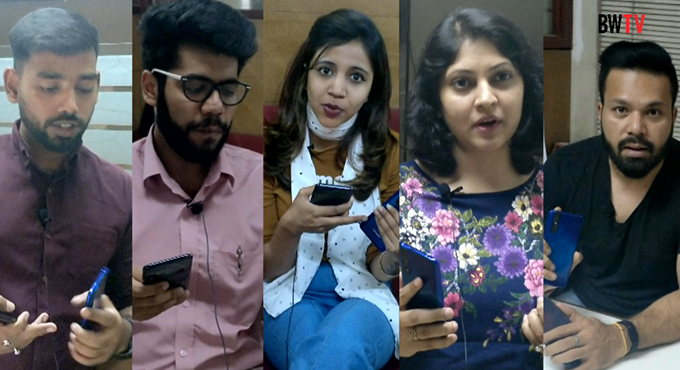 In this connection it is of interest to take note of what has in fact been happening in recent years, in different areas of the capital. Some important housing projects have been implemented in what is the heart of the city. The overall plan of the Delhi urban area is laid out around Lutyens’ New Delhi, with the Central Vista – India Gate axis forming the central spine around which segments of future development were planned. Looking at the city plan it may be seen that a substantial part of the land in the center of the Delhi urban area is in government ownership, accommodating different grades of housing for government officials. The area of this land is more than 11,000 acres. Of this approximately 5,000 acres falls within the area defined as Lutyens’ Bungalow Zone (LBZ), leaving over 6,000 acres of land occupied by low density housing units which can be redeveloped in accordance with the current Master Plan regulations. Most of the old government housing is now run down and ready for renewal. Redevelopment of pockets of land within this prime central area has already been started with no proper overall plan or urban design. 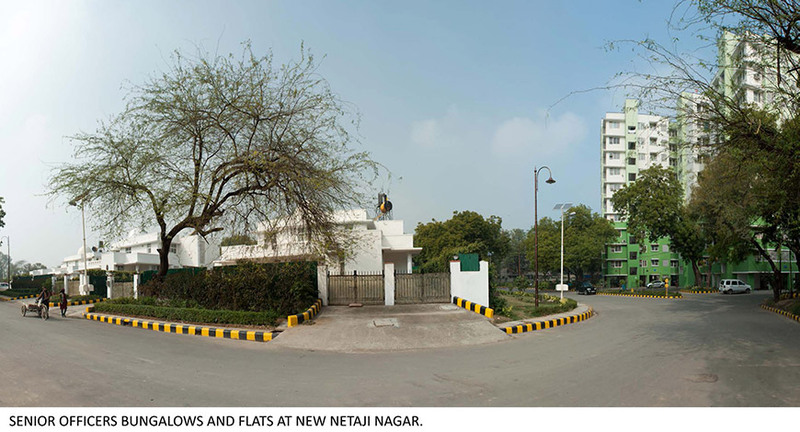 One such development implemented soon after the notification of the Master Plan for Delhi 2021 in 2007, is a housing project for government officials in the prime area of Moti Bagh – now designated as New Netaji Nagar. Here on a site of 110 acres 492 residences have been built for senior government officials along with 500 EWS units. As per applicable Master Plan regulations 7500 dwelling units could have been built on this site to accommodate 37,500 residents. Fourteen palatial Type VIII houses for Ministers have been built on plots of 2500 sq m, and slightly smaller Type VII units for senior officials on 102 plots of 900 sq m. Other officials entitled to Type VI units are accommodated in multistory structures. It may be noted, that the complex does not provide accommodation for any junior officials. By deliberate low development on prime government land where the current land value for a plot would be approximately Rs 10 lakhs per sq m, senior bureaucrats have built status symbols for themselves within a private gated enclave. The 500 EWS units for support staff, are squeezed into a walled off 5 acre corner of the site. Added to this exploitation of prime land, the average cost of which works out to Rs 100 crore per dwelling unit, there is the added annual cost to the public exchequer of maintaining this complex. No assessment has been made of the revenue that might have been generated from this site in the form of property and service taxes, if it had been developed in accordance with Master Plan regulations by private developers. Both the PWD and NBCC (the agency responsible for constructing the complex) have sought to gloss over this colossal extravagance, by stating that the cost of development was recovered from the sale of a corner plot for the Leela Hotel. This kind of justification simply highlights the blatant misuse of high value public land. Another project currently being completed is the development of an 86 acre pocket of land at East Kidwai Nagar, where a number of outdated and rundown government housing along with two schools, have been demolished, and are being replaced by 4747 multistory apartments for government officials. The buildings vary in height from 6 stories to 10 and 14 stories accommodating six types of apartments that vary in size from 740 sq ft to 4680 sq ft.
As can be expected, each of the six unit types, are located in separate blocks, in order to maintain the hierarchy of our babus. As per current regulations the overall permissible FAR is 300, which may be split 90 per cent for residential use, and 10 per cent for commercial development. This works out to a residential area of 939,679 sq m and a commercial area of 104,408 sq m. The total area of 4747 residential apartments as built is 542,900 sq m, which is less than 60 per cent of the permissible area for housing, whereas the commercial area is being built to the full extent in order to extract maximum revenue. Along the frontage of Ring Road multistory office blocks provide 104,413 sq m of office space, to be leased for 30 years, in order to cover the cost of construction, and maintenance of the proposed complex. Here also prime land is being under developed for the personal advantage of bureaucrats, in clear violation of prescribed regulations. Not only is the requirement of total FAR not being met, no provision has been made for the necessary support facilities, which as per the Master Plan should include 2 primary schools, 2 senior secondary schools, a banquet hall, local shopping center, informal bazaar, and other community facilities. This kind of deliberate misinterpretation of prescribed regulations, is typical of what is being done in most developments implemented by government agencies like CPWD, NBCC and DDA. Plans for similar development of group housing by private developers would not be able to get the necessary building sanction from the local authorities without conforming to the prescribed regulations in all respects. 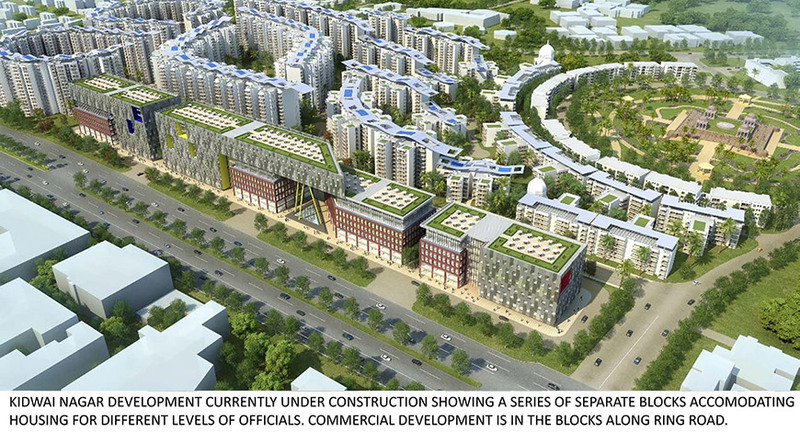 The latest Ministry of Urban Development proposal, which is not in accordance with the Zonal plan for the area, is the proposal to develop a commercial complex on the site of government housing at Nauroji Nagar. 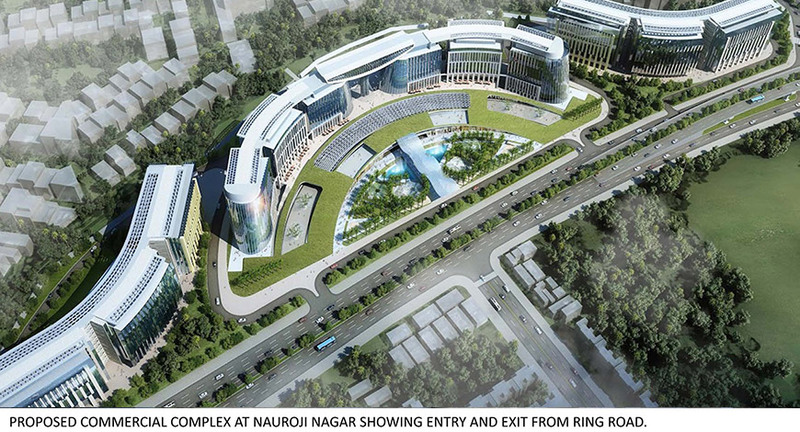 Here a 25 acre site, close to Bhikaji Cama Place on Ring Road is being converted from residential to commercial use. NBCC intends to start construction of an office complex consisting of 12 ten floor towers, above 3 levels of basement parking, in July 2017, with scheduled completion in 2020. The development is intended to be a commercial complex, with a wide variety of facilities, with a total built up area of 30 lakhs sq ft, and parking space for 8000 cars. All entries and exits for traffic serving the complex connect directly to the Ring Road. This is likely to have a significant impact on the already heavily congested Ring Road, as well as the surrounding areas. 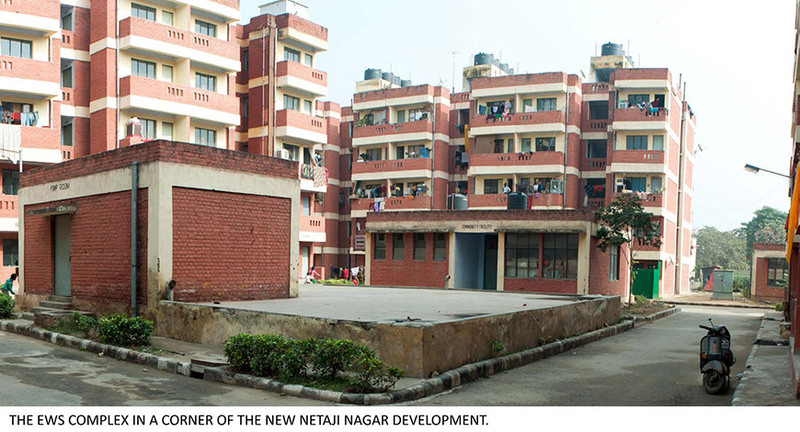 It is intended that the funds generated from the Nauroji Nagar project will finance redevelopment of Sarojini Nagar, Netaji Nagar, Raj Nagar, Mohammadpur, Kasturba Nagar, and Srinivaspuri – all areas of government housing ready for redevelopment. A rough assessment shows that the total area of these sites is 658 acres, or 266.28 hectares. As per Delhi Master Plan regulations it is permitted to construct 300 dwelling units per hectare on these sites, which will total to 79,884 residences. At an occupancy rate of 4.5 persons per dwelling unit, this would accomodate 359,478 persons. It would be pointless to develop such a large area in prime locations as purely government housing, as such a large number are not really needed. This area should not be designed as a number of isolated pockets like East Kidwai Nagar, but be considered in totality along with adjoining areas of government housing as parts of a comprehensive redevelopment urban design exercise for the entire area of government owned land. 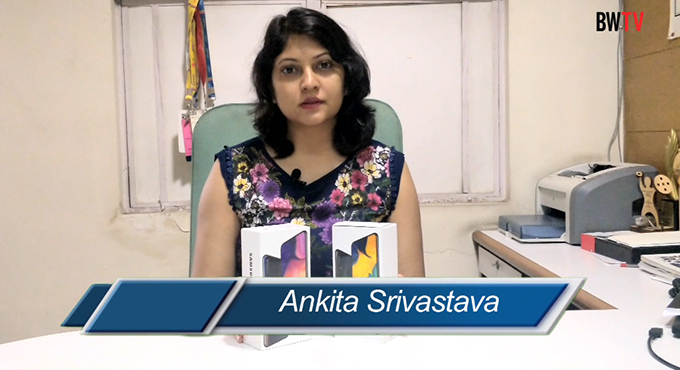 Implementation of construction on individual pockets may be undertaken in stages. New development can be planned to provide the required number of new government housing, including the sprawling 6000 to 8000 sq ft multi storey apartments for ministers and other lawmakers, as suggested by Union Minister Nitin Gadkari. (Why would ministers even with their extended families, need an area as large as 8000 sq ft is questionable.) However, the area is large enough to be planned to include public housing serving different sections of society, along with the necessary support facilities like local shopping, schools, hospitals, health centers, police stations, fire stations, and electric sub-stations, etc. Within the proposed comprehensive development of the entire area, there would be space available for building government offices, along with a substantial commercial complex, high rise office towers, shopping malls, cinemas, and meeting halls. These could be linked to a system of parks and recreation areas, with large open spaces to cater to a wide range of communal activities. However this kind of development is only possible with a detailed transportation study for the whole area, along with a proposal to enhance all services to meet future development needs. Implementation of a detailed urban design proposal for the entire area can be done on a process of cross subsidization to cater to all sections of society, instead of developing this high value land purely for government facilities. 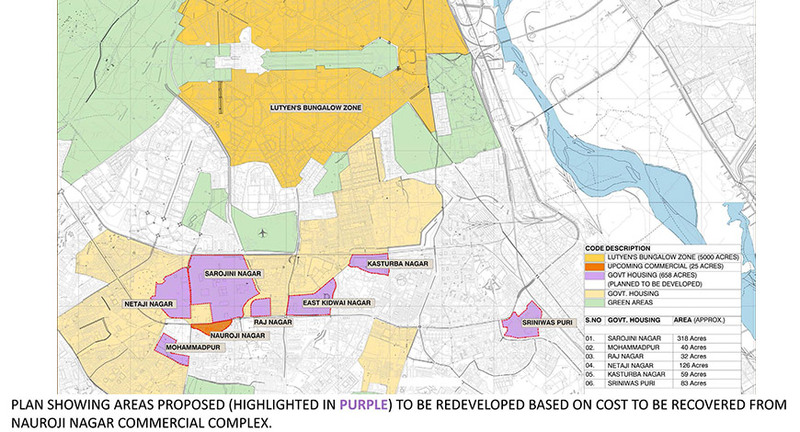 Based on this urban design exercise it may be necessary to re-evaluate the proposed density of development as prescribed in the Delhi Master Plan 2021. Various recently prepared proposals for vacant sites by NBCC, and other government agencies have clearly highlighted shortcomings in the current Master Plan regulations, which need to be carefully reconsidered and revised. In conclusion, it may be emphasized that government land belonging to whichever government agency is public land, the priority for the development of which should be in the larger public interest, and not for the development of status symbols for politicians and bureaucrats. Keeping this in mind, it is important that the Ministry of Urban Development seriously take up its responsibility to plan the city as a whole, keeping track of the constant changes taking place with the steady growth of migrants. With the technology available today, it is possible to prepare detailed three-dimensional studies, showing each and every structure that exists in the city, along with details of existing services both above and below ground. Such a model would help to systematically monitor changes taking place across the city. Further by inserting on such a three dimensional projection proposed future development, would straight away indicate the relationship of the proposal to its context, and the limiting factors. It is important to realize that development of isolated pockets of government owned land without proper planning, will end up destroying the basic form and character of the city, for all time to come.